Laboratory staff | Biopticka laborator s.r.o. Biopticka laborator s.r.o. employs internationally recognized experts, who regularly publish in top international journals, and who are invited as speakers to the European, American and world congresses. Some of our doctors are members of the editorial boards of the prestigious foreign medical magazines. Bioptická laboratoř s.r.o. also employs physicians who were appointed by the Regional Court in Pilsen as forensic experts in the healthcare industry, specializing in pathological anatomy. Laboratory staff are annually requested for consultations with other departments, in the cases of complex and difficult diagnosable tumor processes. 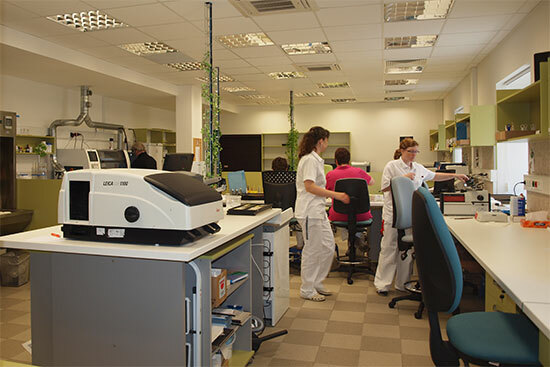 Requests for consultations from around the world are sent to this lab. Here you can find personal pages and curriculum vitae. For more information see Publications. For contact information see Contact.